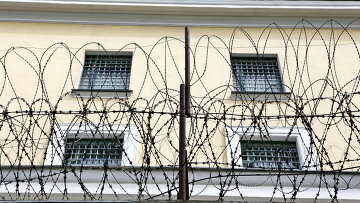 Moscow court upholds sentence for accomplice of penitentiary ex-official | Russian Legal Information Agency (RAPSI). MOSCOW, December 13 (RAPSI) – The Moscow City Court has upheld a 2.5-year prison sentence given to entrepreneur Marina Dyukova as part of a criminal case involving ex-deputy chief of Russia’s Federal Penitentiary Service (FSIN) Oleg Korshunov, RAPSI correspondent reports from the courtroom. The Meshchansky District Court of Moscow convicted Dyukova, an accessory of Korshunov to large-scale embezzlement, in November. The case was heard under a special procedure without examination of evidence and witness interrogation because the defendant pleaded guilty and cooperated with investigators.